While Canada is technically the second biggest country in the world by area, it is arguably alone at the top of the rankings when it comes to how fantastically a nation fills out its space. From the jagged Rocky Mountain peaks and teal-streaked lakes of western Canada to the swaying prairies in the middle of the country and the cultural centres and Great Lakes of Eastern Canada, this place possesses a combination of gasp-inducing landscapes and stimulating cities that are second to none. While you truly can’t go wrong no matter which transportation you use throughout the country, it doesn’t really get any better than seeing Canada by rail. There’s no doubt that with an extensive network of routes that crisscross the country featuring everything from city-centre-centric lines in the east to scenic luxury lines in the west, seeing Canada by rail offers the fullest and most magnificent Canadian holiday experience. But deciding upon a rail itinerary brings about a whole new set of questions: What time of year should you visit? What should you pack to cover every eventuality and weather outcome? What stops should you include in your itinerary, or should you include a cruise or extension at either end? There’s so much to see and do, and although rail travel is a more stress-free and pleasant way to see Canada’s natural beauty than trying to navigate it for yourself, you’ll want to make sure that you get as much out of your experience as possible. Here are a few tips to help you in the planning stages. Before you decide which rail tour in Canada is right for you, you first need to plan which of the country’s sights you would most like to see or visit. Here are some of the standout destinations in Canada that are, for good reason, the most popular. Not only is the town of Banff gorgeous in itself, framed by a scenic backdrop of snow-capped mountains, but it also serves as a great base from which to explore the rest of the legendary Banff National Park (Canada’s oldest National Park, best viewed from a scenic gondola ride) and the iconic Icefields Parkway, where you have the opportunity to gaze at, and even walk upon, colossal glaciers. 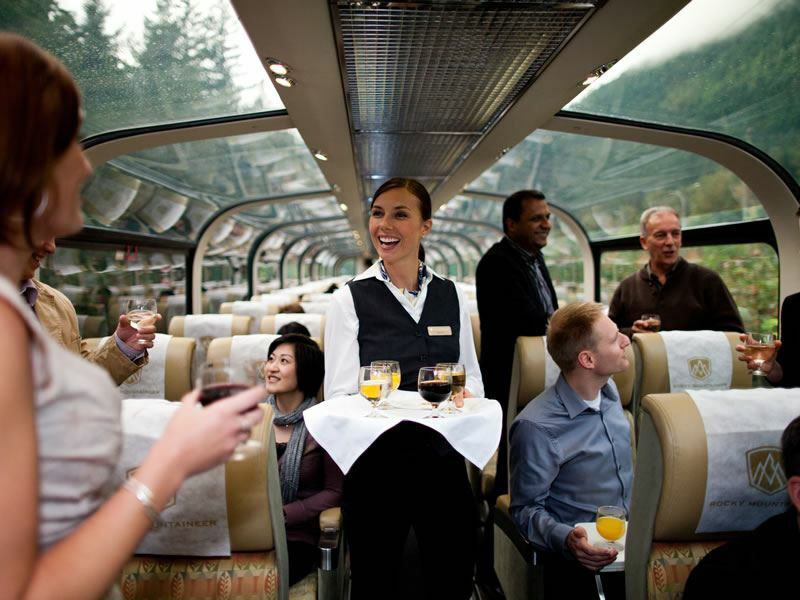 A stop in Banff is always included on Rocky Mountaineer railway tours, making it the perfect tie-in to this scenic rail journey. If the bustling sights and smells of a big city are usually the highlight of your holiday, then incorporating several of the country’s biggest and most beautiful cities in one trip is a great way to get a true sense of everything Canada has to offer. From the iconic CN Tower in Toronto (head to the top and enjoy the breathtaking views, or enjoy a meal at the 360 degree restaurant), to the historic architecture of Quebec City, the fine dining of Montreal and the picturesque waterfront of Vancouver, the most efficient way of hitting all of these places is to combine them in one multi-stop rail itinerary. Most people think of mountainous scenery and green woodland when they think of a Canadian rail journey, but your trip can encompass a lot more natural beauty than can be viewed from the window of a train. 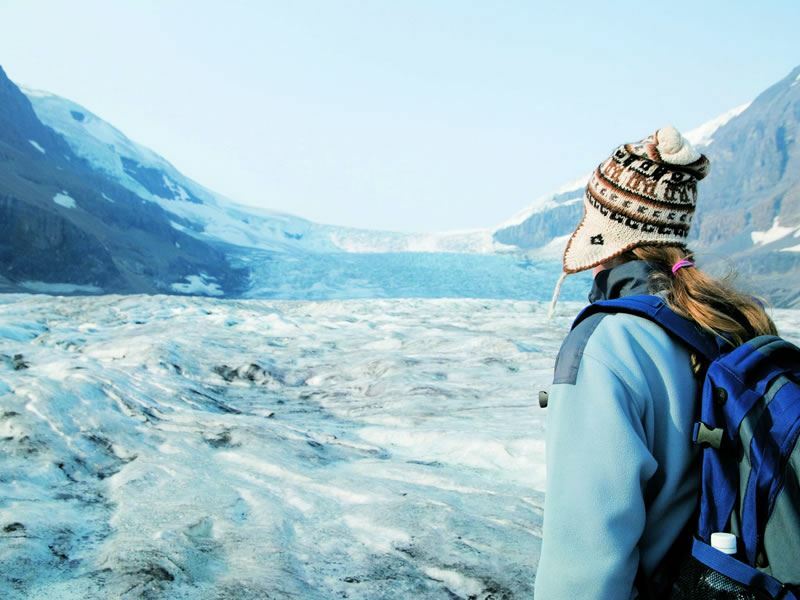 Many itineraries can easily include stopovers at Lake Louise and the Niagara Falls, and if you combine your rail trip with an Alaskan cruise, you can even marvel at sights like the Hubbard Glacier and the historic Icy Strait Point - home to some truly amazing wildlife. Much like Banff, Jasper is often one of the highlights of a rail tour journey, not least because you can view the Rocky Mountains from a completely new perspective here - from the SkyTram, which is a guided elevation tour up which takes you 2,277 metres above sea level. Once you’ve marvelled at the scenery below you, you can ride back down and enjoy a warm soak in the Miette Hot Springs - a man-made hot springs pool surrounded by woodland and mountains. Rail journeys typically run from May to October and no matter which season you to choose to travel in, you’re always going to be rewarded with outstanding scenery - that’s one of the benefits of travelling during daytime hours on the train. There are parts of the country that you simply wouldn’t be able to travel through if it weren’t for the train tracks that traverse them, and you’re duly rewarded with some of the best sights because of this. However, different seasons offer their own individual benefits, whether because of wildlife habitats or seasonal events. Spring and autumn are the best times to see Canada’s wildlife population, as this is when they move to lower elevations and closer to towns for food and mating. This includes elk, deer, bears, bighorn sheep, mountain lions, chipmunks and marmots. Early morning and late afternoon are also the best times for viewing wildlife, which makes the itinerary for the rail journeys most appealing as they often run from morning until early evening or beyond. 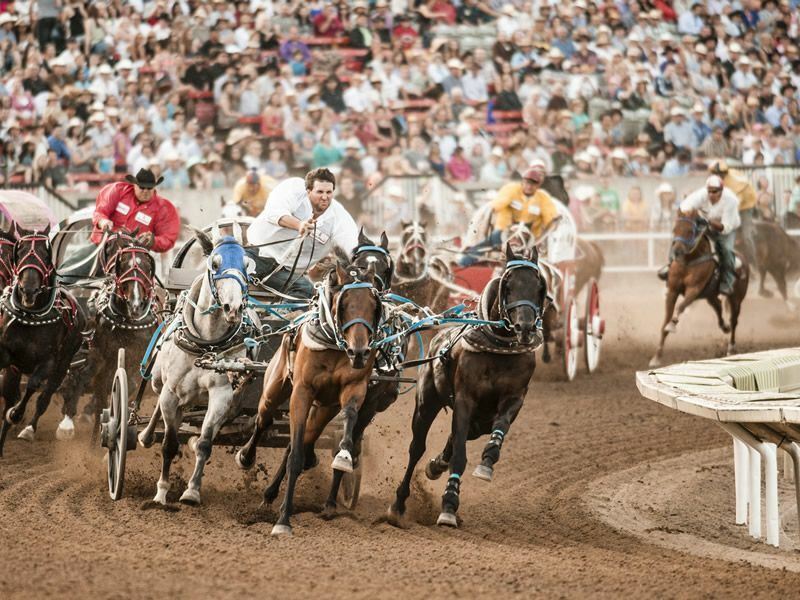 If you would like to be in town to catch the Calgary Stampede, a 10-day-long rodeo event that includes live music, events, a fairground and tournament-style rodeo shows, then it is best to plan your trip in the summertime. The stampede usually takes place in early July, and Rocky Mountaineer rail journeys always start or end in the city, meaning that you can extend your stay to incorporate the event. For beautiful fall colours of red, gold and amber, then autumn is the perfect time to traverse the Rockies and witness the changing colours of the foliage. It can be difficult to decide what to pack for an itinerary that includes a rail journey covering many different terrains and cities. You don’t want to overpack, as you’ll be moving around quite a lot and won’t want to keep packing and unpacking an overly-stuffed suitcase, but you need to cover all bases for weather and excursions. Here are a few of my recommendations. One day you could be basking in the warmth of a city terrace, the next you could be climbing a glacier (or getting blasted by chilly indoor air-conditioning!) Therefore it’s important that you pack several thinner layers of clothes that can be added or removed as needed. Ideally this would include long and short-sleeved t-shirts, a fleece and a thin waterproof jacket. You’ll also want a good pair of walking shoes or trainers because you’ll want to make the most of your city stopovers and excursions by getting out and exploring. The trains are temperature-controlled, so you should never get too hot or cold while onboard (which is where your layering will come in handy again), but they do often supply a comfy blanket, should you get a bit chilly or want a nap. The scenery outside of the train windows is spectacular, and you will no doubt be in awe for most of the trip, but if you’re taking an overnight journey or a multi-stop itinerary, I’d recommend taking a good book (Kindle or regular old paperback) to enjoy and be able to dip in-and-out of. Not only is it relaxing, but can also help pass the time during any downtime or during the evening stretch of an overnight journey. You’ll be well-served during your rail journey as all train lines provide meals (the Rocky Mountaineer serves freshly-cooked breakfast and lunch on the train - both made using local ingredients like wild salmon - and VIA Rail serves breakfast, lunch and dinner), but you may want to pack a few extra small snacks, particularly if travelling with family or if taking daytime excursions. 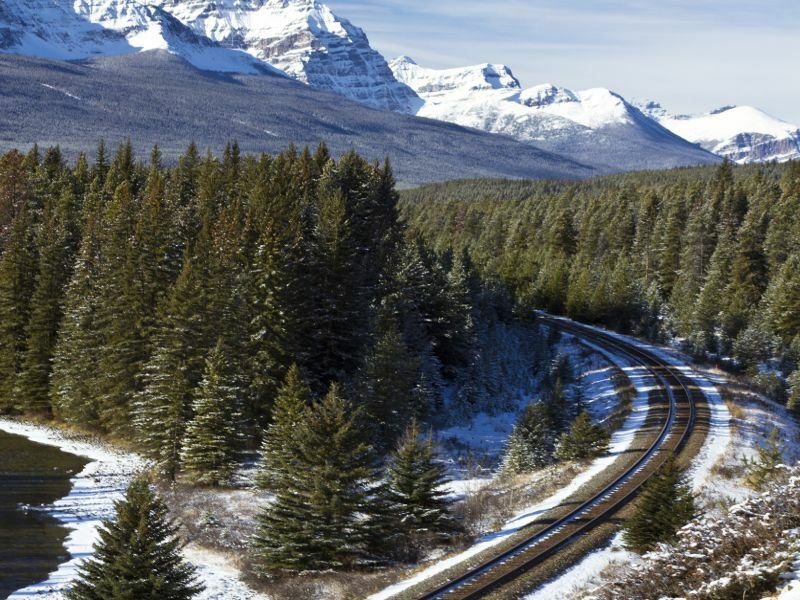 Most of these rail journeys take in some of the most beautiful sights that Canada has to offer, and although it can seem like a whirlwind, you should try and soak up every minute, because it really is a once-in-a-lifetime experience. Whether you’re gazing at the stars from your train cabin or hiking in a National Park surrounded by wildlife, a sense of adventure will serve you well in enjoying every second to the fullest.